Department of Infectious Diseases, State Key Laboratory of Organ Failure Research, Guangdong Provincial Key Laboratory of Viral Hepatitis Research, Nanfang Hospital, Southern Medical University, Guangzhou, Guangdong 510515, China. Hepatocellular carcinoma (HCC) is the most common primary liver malignancy and accounts for about 6% of all new cancer cases diagnosed worldwide (nearly 750,000 new cases/year), with nearly half of these cases reported in China alone. Because liver is a silent organ, most of HCC discovered as middle and late stages, which make HCC low cure rate and high mortality. 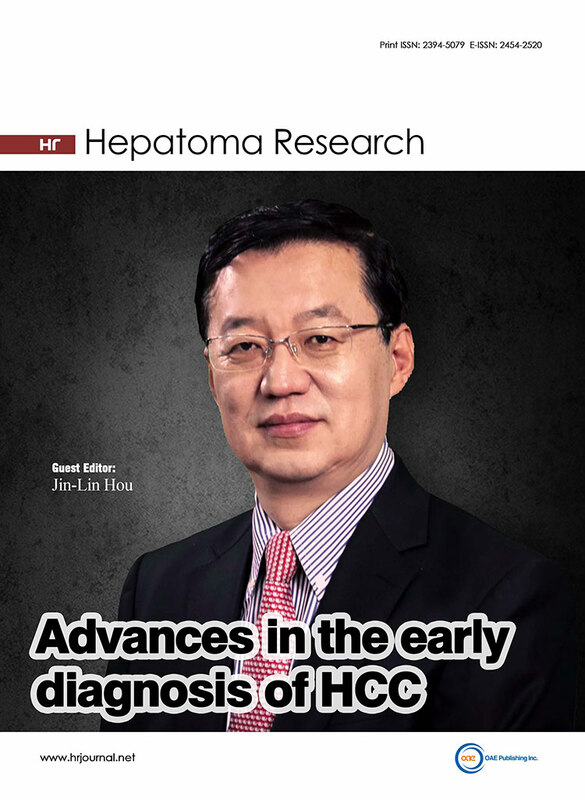 For this reason, accurate diagnosis in the early stage is crucial for HCC. This is a huge part of unmet medical needs. The effectiveness of early detection in HCC is depended on not only the development of science and technology but also the advance of public health and the cancer awareness of people in local region. Nowadays, it is gratifying that WHO and government of many countries have paid more and more attention to the advance of public health and done many powerfully measurements for cancer early-detection programs. Meanwhile, science and technology revolving around HCC early diagnosis are making great progress day by day, including surveillance for HCC in high-risk population, the diagnostic strategy of indeterminate hepatic nodule, advances in new diagnostic biomarkers, etc. In this regard, this special issue was developed for the close attention and promotion of research advances and academic communication in this field. Despite of the advances in clinical imaging and applied research in proteomic biomarkers, liver cancer, especially hepatocellular carcinoma remains detected at the very late and advanced stages when curable treatments are unavailable and ineffective. In this regard, there are still huge unmet medical needs in developing and clinically validating those high-potential protein biomarkers preferably in liquid biopsy samples. This review provides a glimpse of emerging biomarkers together with detection tools and techniques which are potentially commercially available to the markets. We also discuss several diagnostic biomarkers having therapeutic potential for developing first-in-class medicines. Through several studies exploiting next-generation sequencing, we are obtaining a clearer picture of the complex genetic and molecular landscape of hepatocellular carcinoma (HCC). Consistent with the findings of other cancer types, telomerase reverse transcriptase (TERT) promoter mutations have been frequently reported in HCC. 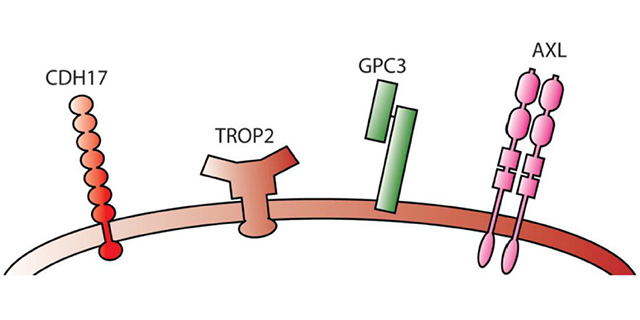 C228T and C250T are two major types of hot spot mutations in the TERT promoter region. 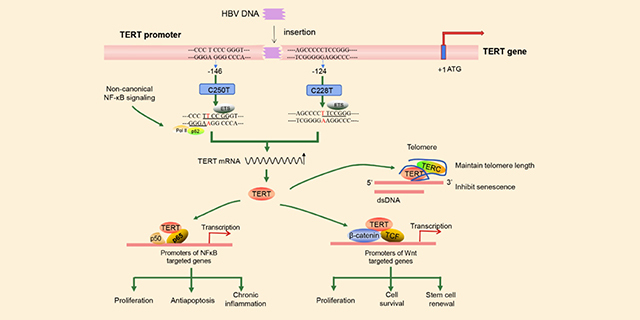 Besides, in hepatitis B virus (HBV)-related HCC cases, the TERT promoter is recurrently interrupted by integration of HBV DNA. TERT promoter mutations are thought to be an early event in HCC carcinogenesis, and they are significantly associated with disease progression. In this review, we provide an updated overview of the somatic mutations in the TERT promoter region and discuss their possible roles in the development of HCC. Non-alcoholic fatty liver disease has become the leading chronic liver disease in the developed world, with a prevalence of 6%-35%. Its pathological spectrum ranges from simple steatosis (non-alcoholic fatty liver) to different degrees of inflammation and liver cell damage [non-alcoholic steatohepatitis (NASH)]. NASH has gained attention in recent years because of its association with hepatocellular carcinoma (HCC). Although the occurrence of HCC is more frequent in the presence of cirrhosis, studies have shown that hepatic carcinogenesis may also develop in the context of NASH without association with advanced fibrosis, as well as from simple steatosis. Evidence of the onset of HCC in the absence of cirrhosis is of concern, since recent surveillance and screening guidelines for liver cancer do not include this population subgroup. Therefore, it is imperative that new effective screening and monitoring measures for HCC, or even the reformulation of these recommendations, be taken to handle these patients considered to be at high risk. The present paper aims to review the literature on the occurrence of HCC in patients with NASH with or without cirrhosis. 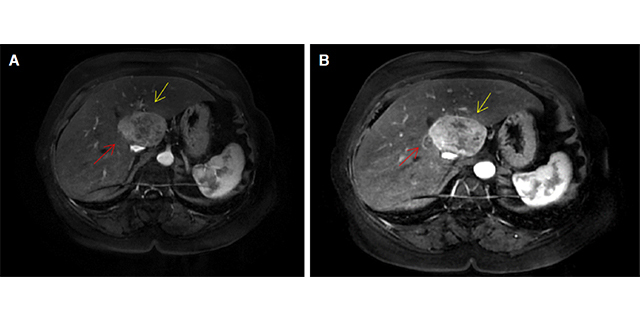 In addition, we report a case showing the development of HCC in a patients with NASH without cirrhosis. Hepatocellular carcinoma (HCC) is the second leading cause of cancer-related deaths worldwide and despite improvement in therapeutic approaches, prognosis remains poor. This can be partly attributed to the fact that the majority of HCCs are diagnosed at intermediate or advanced stages. Availability of circulating biomarkers able to detect HCC at early stages could improve patients’ prognosis. At present, however, alpha fetoprotein or des-g-carboxyprothrombin are unable to reliably detect HCC at early stages and better circulating biomarkers are needed. 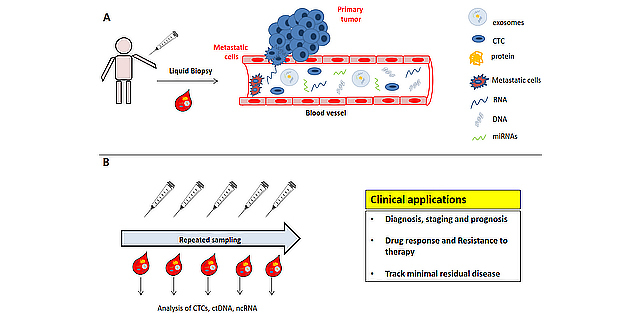 Circulating tumor DNA (ctDNA) and non-coding RNAs (ncRNAs) are emerging as promising biomarkers to achieve the goal. Genetic and epigenetic alterations in ctDNA allow to pinpoint tumor-specific biomarkers, reveal tumor heterogeneity, help monitor tumor evolution over time and assess therapy efficacy. It remains to be fully evaluated the possibility of detecting these biomarkers at early tumor stages. Circulating ncRNAs are quantitative biomarkers with potential use in diagnostic, prognostic and predictive clinical settings. They may help to reveal HCC at early stages. However, because of heterogeneous and sometimes conflicting reported results, they still require validation and standardization of pre-analytical and analytical approaches before clinical applications could be envisaged. Aim: Hepatocellular carcinoma (HCC) is a common cancer worldwide, especially in Asia, with high mortality. Curative options are only available for early-stage HCC, which are usually asymptomatic and best diagnosed through surveillance. Risk factors associated with HCC include liver cirrhosis due to alcohol, chronic viral hepatitis infections and nonalcoholic steatohepatitis. We review the evidence supporting the benefits and drawbacks of HCC surveillance as well as new surveillance modalities. 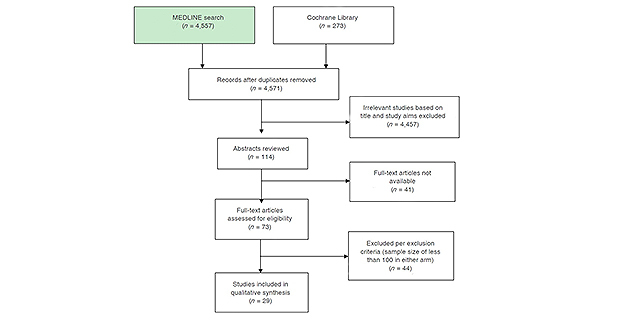 Methods: A MEDLINE and Cochrane Database search with defined search phrases was performed. Studies published from Jan 2000 to Jul 2018 were reviewed and publications focusing on the benefits and harms of HCC surveillance were qualitatively synthesized. Modalities of HCC surveillance were also reviewed. Results: A total of 5 randomized controlled trials (RCTs) and 24 cohort studies with sample size of more than 100 each were selected. Significant mortality reduction was demonstrated in 1 RCT. Cohort studies showed overall improved outcomes in the surveillance group with 61.3%-88% of HCC being detected in an early-stage and with up to 80% eligible for curative treatments. A quarter (27.5%) of the surveillance patients experienced additional scans or procedures due to false-positive results. 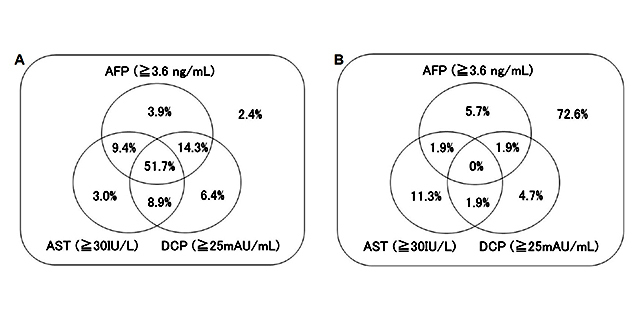 Combination of ultrasound with alpha-fetoprotein increases HCC detection rate. Novel serum markers and liquid biopsy are attractive tools for surveillance as they are non-invasive and convenient. Conclusion: The current evidence supports HCC surveillance as it detects earlier stage of tumor, allows more curative treatment and improves survival. Further research on hepatocarcinogenesis and novel surveillance modalities will continue to refine surveillance guidelines to reduce HCC-related mortality. Aim: The incidence of non-virus-related nonB-nonC hepatocellular carcinoma (NBNC-HCC) is on the rise. However, screening at-risk individuals using imaging methods is complicated by the large size of the at-risk patient pool. The aim of this study is to develop an effective simple screening method, using blood tests. Methods: The diagnostic value of aspartate aminotransferase (AST), alpha-fetoprotein (AFP), and des-gamma-carboxy prothrombin (DCP) was analyzed using sera from 203 NBNB-HCC patients and 106 diabetes mellitus patients. Results: Areas under receiver operating characteristic curves for AST, AFP, and DCP were 0.844, 0.901, and 0.914, respectively. The optimal cut-offs for diagnosing NBNC-HCC based on Youden indices were 30 IU/L, 3.6 ng/mL, and 25 mAU/mL, respectively. On selecting patients who were positive at least one parameter (AST, AFP, or DCP), the sensitivity was 97.5%. This high sensitivity was preserved (98.0%) even in cases of non-advanced HCC (≤ 3 cm, ≤ 3 nodules). Specificity was 72.6%. Conclusion: This simple triple screen for AST, AFP, and DCP appears to have diagnostic value in NBNC-HCC and could be used to select candidates for further testing using imaging.